On Dec 17th, Cerfacs participated to the R&T Safran Aircraft Engines day during which Safran AE and their partners presented their research and development work. Cerfacs research was presented on various posters providing a general overview of numerical simulation activities performed with Safran in the fields of combustion chamber, compressor, turbine and numerical methods. 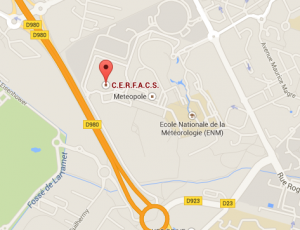 Five CERFACS Phd student (CIFRE) also presented their work in 180 seconds. 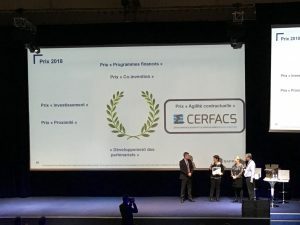 Over the 6 prices attributed to Safran AE partners, Cerfacs was awarded by the contract agility price. This price was awarded for the partner delivering fast responses to consultations and allowing quick and easy contract setup. 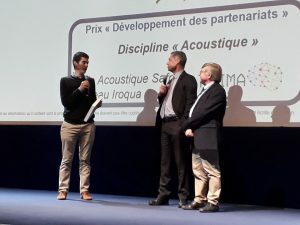 Finally, Félix Collin-Bastiani received a prize for his Phd research on modeling and simulation with large eddy simulation of ignition processes in two-phase flow and real-world conditions.